Here at The Bridge Group, we’ve been doing rep and manager comp research since 2007. (You can get the latest SDR report here and AE report here.) Although we’ve been asked about CRO/SVP of Sales compensation a lot, it’s one area we’ve never delved into. and how much are they paid to deliver it. We’ve just entered a very special time of year. Namely the three weeks (from Nov 1st to Thanksgiving) where it's acceptable to talk quotas for the upcoming year. Broach the topic any earlier, and it’s like touring colleges with a newborn. Any later, and it's a distraction from finishing the year strong. But right now, is just right. Roy argues Team Summit is preferable. For one, "whenever there is variability [like in Team Camel] it usually means we don't fully understand the process." He continues that reps in the left hump are likely stressed out—as they see how they're underperforming their peers—and ultimately, may face PIP or involuntary termination. I recommend you take a look at the video and comments. It's a great discussion. The days after getting shorter. Football (both proper and American) is back on the TV. And we at The Bridge Group are kicking off a new research project. This time we're targeting the most senior Sales Leaders. We focusing on CRO/(S)VP compensation, accelerators, and equity grants as well quota, makeup, and span of control. 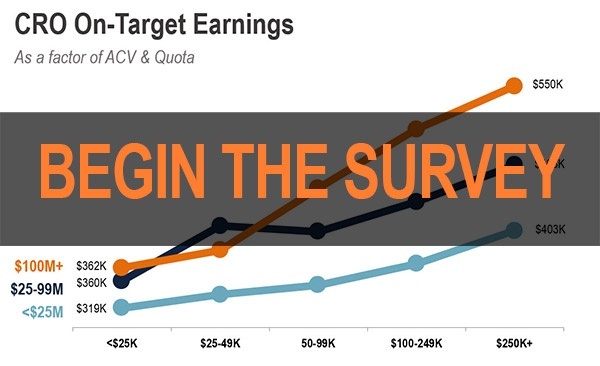 So if you're a CRO, SVP, or VP of Sales, we'd love your participation. We worked hard to make this survey easy and short (roughly 4 minutes ).